My husband and I are wearing these costumes. 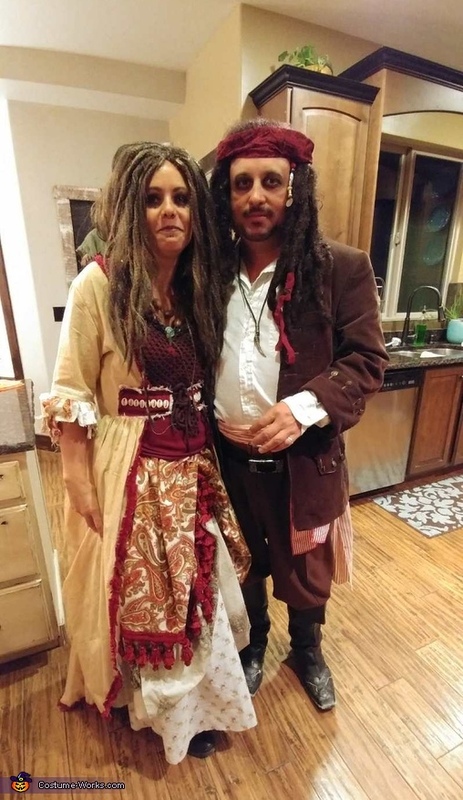 He chose to be Jack Sparrow and I chose Calypso from the Disney Pirates movies. I created these costumes from different fabrics/notions from thrift stone finds.